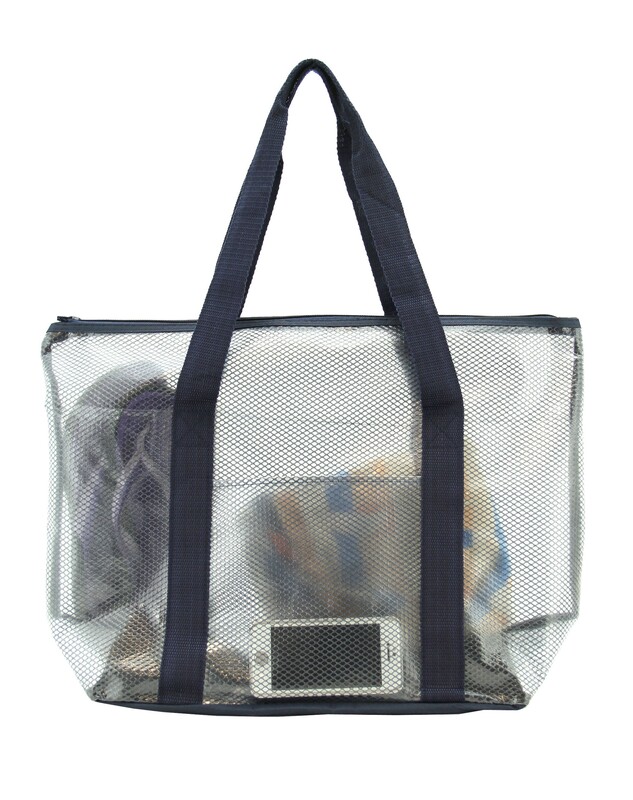 Semi-Clear PVC and mesh with polyester bottom and handles. Interior features 2 open slip pockets. 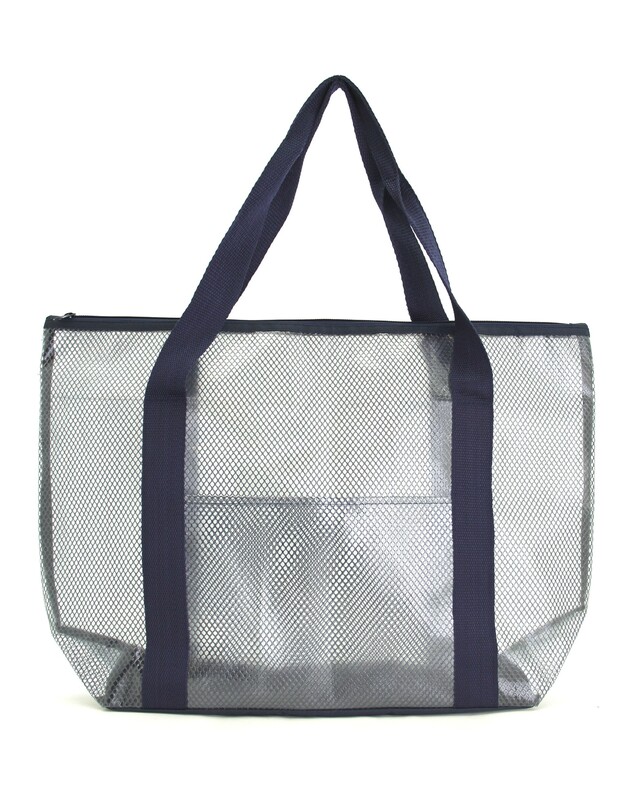 Double handles strap with 8.0" drop. 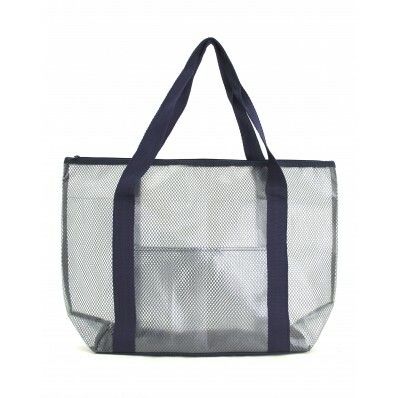 This tote takes you from works to beachside and anywhere in between.